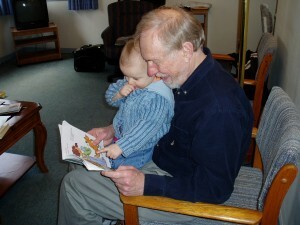 This is my 50th blog and I have never yet discussed male caregivers! 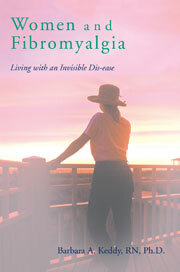 In my book I discussed with the women living with fibromyalgia the issues regarding the people who supported them (or in many cases, those who did not provide support or understand what it meant to be living with fibromyalgia) . Their answers often surprised me. 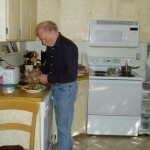 I am one of the fortunate ones who has a husband with a caregiving nature. He is my biggest supporter and without him I don’t know how I would survive the pain and fatigue. I generally feel guilty about the limitations of my life and how they have impacted on him. I have long wanted to write about the caregiving strain of coping with people who have invisible dis-eases while the work of the carer is itself often invisible. It can’t be easy since those of us with fibromyalgia usually look healthy, and even the caregiver must wonder at times if we really are suffering as much as we say we are. The irony of all this is that women with fibromyalgia are usually in this state of hyperarousal of the nervous system because they themselves were once super-carers of others! Furthermore, the guilt we experience because others are taking care of many of our needs is a conundrum we are forced to live with. This entry was posted in caregiving as invisible work, caring work, exhaustion of caregiving, Fibromyalgia, guilt, invisible work of caregiving, men as caregivers, pain and fatigue, resentment of caregiving, support group for men on December 26, 2009 by Barbara Keddy. To-day one of my favourite comedians died. I shall miss his humour and while I obviously agree with Carlin’s view that both men and women are from earth, I cannot be quite so cavalier about dealing with many known differences. Sensitivity and empathy, for example, are human emotions that are often expressed very differently among men and women and both of these affect or may even be responsible for fibromyalgia. This entry was posted in 'emotional intelligence', cannot generalize, caring work, empath, empathy, feminine traits, fibromyalgi and highly intuitive, Fibromyalgia, fibromyalgia and high energy, gay men, George Carlin, Gulf War Syndrome, high achievers, highly motivated, human emotions, interaction, IQ, masculine traits, men and fibromyalgia, political issue, Post Traumatic Stress Syndrome, sensitivity, women's movement on June 23, 2008 by Barbara Keddy.